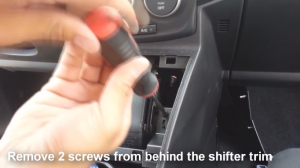 First show you a picture of Seicane 2009-2012 Mazda PREMACY Radio after installation. 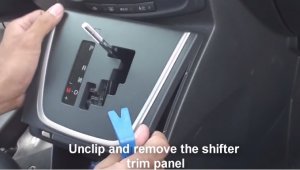 Do you want to get one and install it on your Mazda PREMACY? 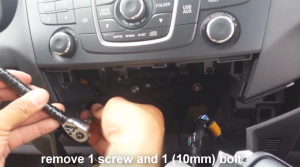 If you remove the factory Mazda PREMACY Radio and upgrade to Seicane aftermarket radio. 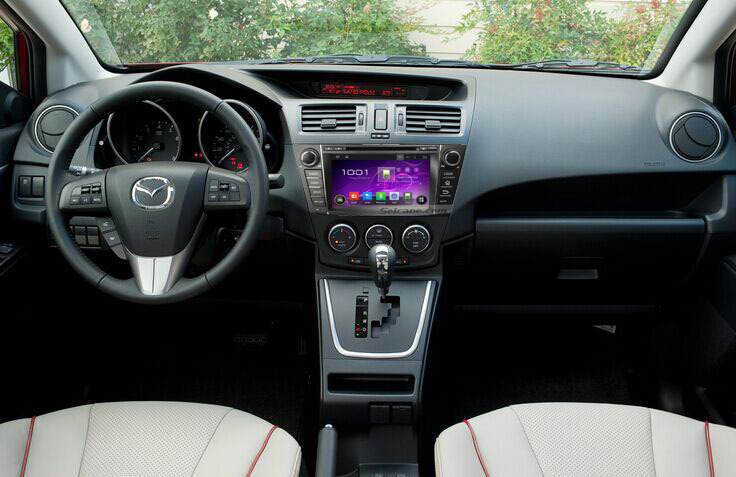 You can do many interested things with it and have a lot of fun with your Mazda PREMACY. If you have the same dashboard in your car, you can follow the instructions below. 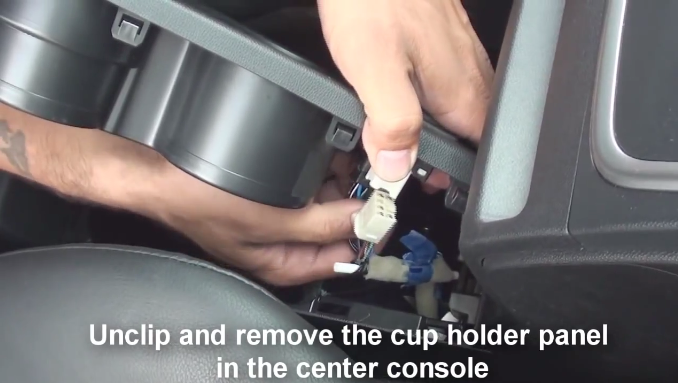 1·Unclip and remove the cup holder panel in the center console. 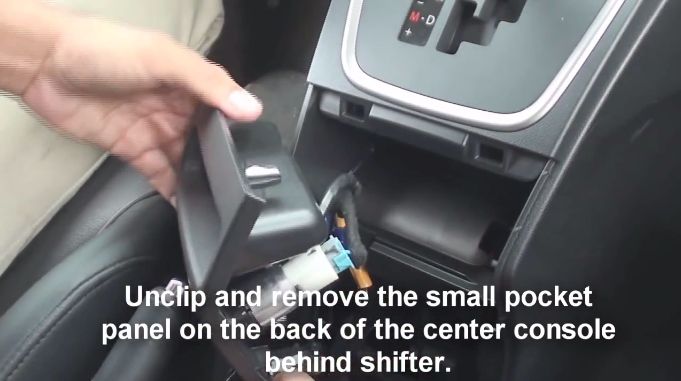 2·Unclip and remove the small pocket panel on the back of the center console behind shifter. 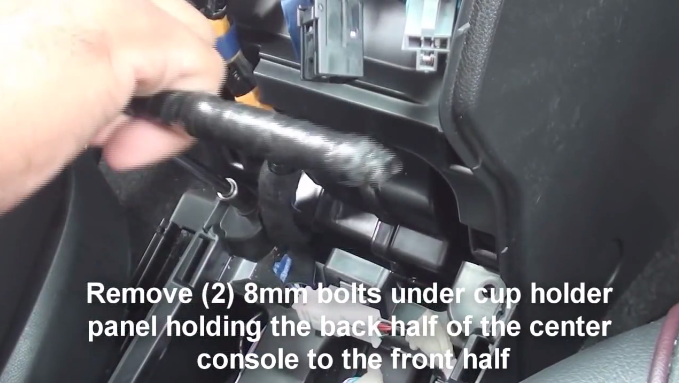 3·Remove 2 8mm bolts under cup holder panel holding the back half of the center console to the front half. 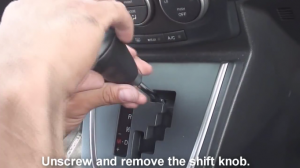 4·Unscrew and remove the shift knob. 5·Unclip and remove the shifter trim panel. 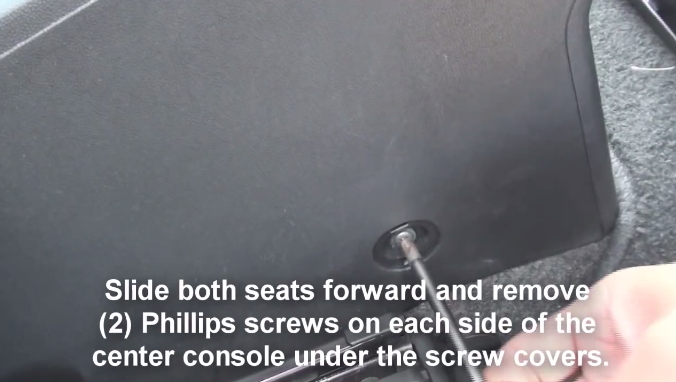 6·Slide both seats forward and remove 2 phillips screws on each side of the center console under the screw covers. 7·Unclip and pull back the panels at the lower front sides of the center console. 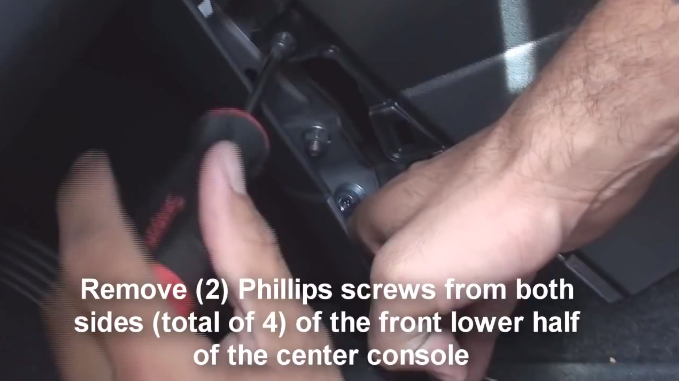 8·Remove 2 Phillips screws from both sides of the front lower half of the center console. 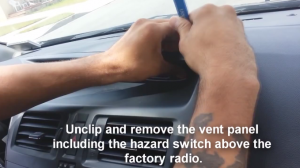 9·Unclip and remove the vent panel including the hazard switch above the factory radio. 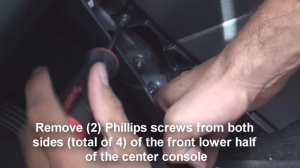 10·Its easier to remove 2 screws by set this piece on the top of the dash. 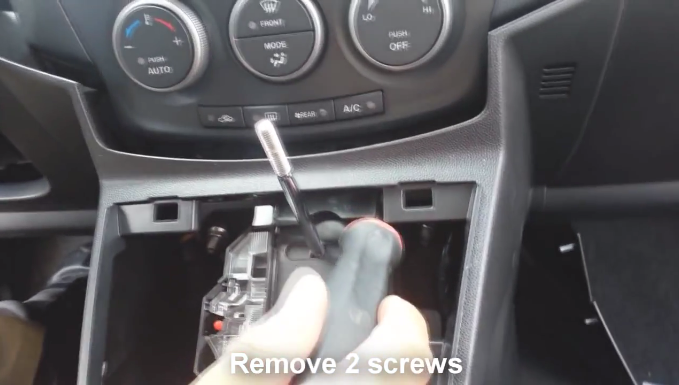 11·Remove 2 screws from behind the shifter trim. 12·Pull center console toward, this will help gain access to 2 screws under the climate controls. 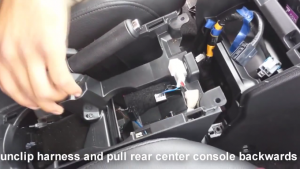 14·Unclip harness and pull rear center console backwards. 15·Press in shifter release trigger and pull shifter down, make sure to have e brake on. 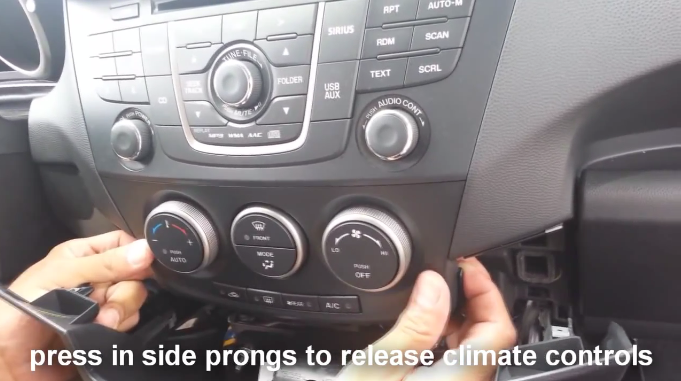 16·Press in side prongs to release climate controls. 17·remove one screw and one 10mm bolt. 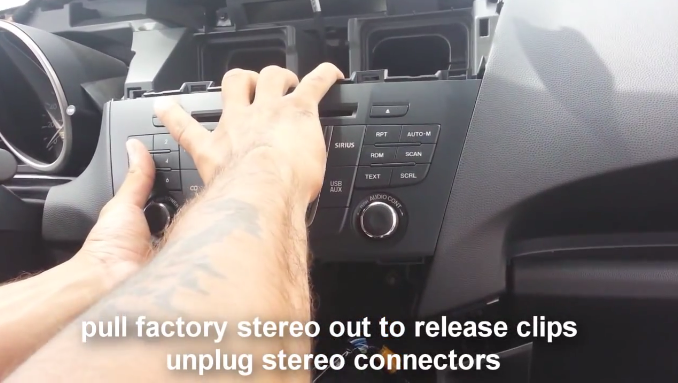 18·Pull factory stereo out to release clips unplug stereo connectors. 19·Make antennas and cables connected step by step as installation instructions show, and you should be very careful when you are doing this for it will affect whole procedure. 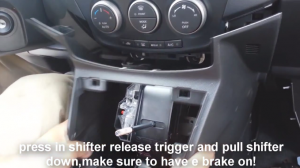 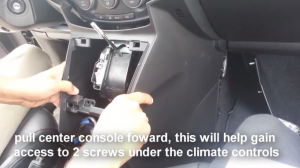 20·Connect the new radio to your Mazda PREMACY, you should check whether your connections are correct, the new unit is in right position, and you’d better have a tidy for the cables. 21·Check whether the new unit is working without problem. 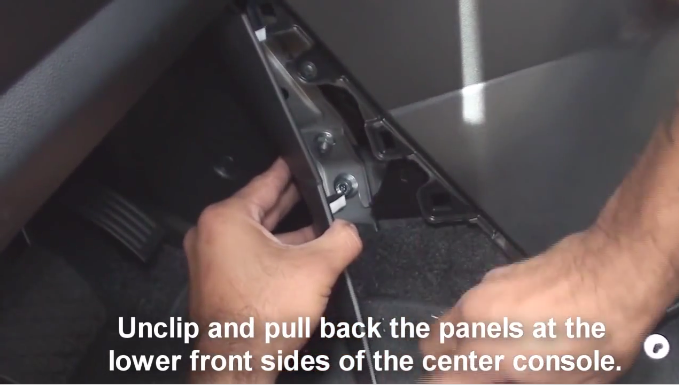 22·If everything is OK, firm removed screws that are put aside, then make trim panel back on your new unit. 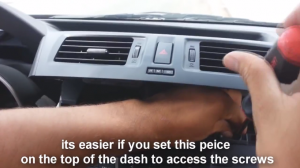 If you don’t know which aftermarket radio is better, this Seicane unit can be a good choice for you. It has intelligent pure android 4.4.4 operation system and 8 inch HD 1024*600 multi-touch screen. 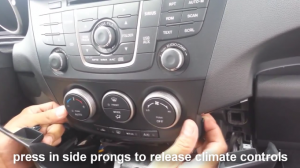 Seicane aftermarket Mazda PREMACY Radio can provide many great functions to you, just install it! 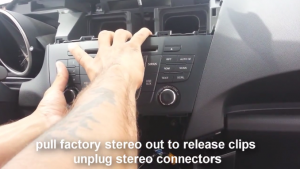 This entry was posted in Mazda car stereo and tagged Mazda PREMACY Radio. Bookmark the permalink.